See the article below by Mark Stimson of Bosch. heaters, floor-standing and wall-hung boilers, and Bosch and FHP geothermal heat pump systems. Three new kinds of partnerships give builders more options for financing and installing geothermal technology. In the summer, a geothermal system absorbs heat from the home and transfers it to underground loops. Cool water returning from the ground brings cool, dehumidified air conditioning to the home. Green is hot, at least as far as residential building is concerned. A 2016 study from Booz Allen Hamilton for the United States Green Building Council found that green building construction growth currently outpaces general construction and will continue to do so through 2018, with LEED residential at a year-over-year growth of 31.1 percent from 2015 to 2018. A growing number of residential builders aiming to build green are looking more closely at geothermal heat pump systems, a technology that uses the earth’s thermal properties in conjunction with electricity as an alternative to traditional HVAC and water heating systems. The technology lowers water, sewer and energy costs over time as well as reduces greenhouse gas emissions. Carrier Corp. will close two Indiana plants, moving production to Mexico. Huntington, Indiana, plant will close by 2020. The moves will cost 2,100 workers their jobs. said the current HVAC market made the relocation necessary. customers of our GeoComfort and Hydron-Module dealers. currently has a geothermal system installed, no matter the brand! Announcing the All-New 2016 Geothermal Friends & Family Referral Program! opportunity to tap into their existing geothermal customers to generate incremental sales. ($400) for their GeoComfort geothermal system purchase. these homeowners are already familiar with the contractor and already own a geothermal system. They’re often the best sales tool and your biggest advocates. Contact Tim @ tim@edgegeo.com or Tony @ tc@edgegeo.com for more details. You can send your customer directly to the Friends and Family Link. and became very familiar with the geothermal heat pump market in the UK and EU. The article below is a fair representation of their residential market. The biggest variance from North America is that the vast majority of their systems are not forced air. Kya deLongchamps warms to the economies of heat pump technology, now standard in new builds, but explores its potential as an upgrade heating system. Heat pumps have become familiar inclusions in new builds of single one-off homes, and in the specifications for progressive developments of estates and even apartments. We can thank 17th century Anglo-Irish genius Robert Boyle of Lismore Castle (with his canny Boyle’s Law) for at least part of their creation. However, many consumers are still unsure of what heat pumps actually are, confusing them with a modern form of boiler or some eco-sensitive whimsy afforded only by the cosy financial upper classes. These systems are already tried, tested and highly reliable form of primary home heating in the EU countries with brutal winters — and also in our temperate Irish climate. As I discovered, they are not confined to use in passive or near-zero carbon buildings. In the right circumstances — yes, they can be retrofitted for a more energy efficient result in an existing house. Using electrically powered compressor technology similar to a fridge, heat pumps recover the sustainable, free solar gain from the earth, from the air or bodies of water and via a heat exchanger, brings this free thermal energy up to a useful temperature for central heating. The required electrical power can be multiplied into four units of heating energy for every unit of electricity used — exciting stuff and once up and running, highly economical — especially for a larger home with sufficient insulation. There are three parts to the system: the collector, the heat pump itself (where the heat exchanger performs its magic) and a distribution system. The results in heat terms are refined by dedicated heating controls. In winter the heating may be ‘on’ fairly constantly, something familiar to anyone with under-floor-heating (UFH) — or on night-rate electricity. Radiators when used are larger, cooler but heat slowly and longer that regular radiators. Collecting heat from the stable temperatures of the earth is called geothermal heating, and this is done via a horizontal collector made up of plastic pipes in a ‘closed loop’ set over a garden in shallow trenches one to two times the square footage the house. Water circulates through the pipes, returning to the heat pump magically warmer than when it left because it takes the heat from the earth — (generally the temperature beneath the earth’s surface here is maintained at around 9C). Vertical geothermal collectors are bored like a well deep into the ground in a space saving spike, (often two). Water based ‘open loop’ collectors can use lakes, rivers, and wells — but this technology is more commonly applied to commercial situations and has more maintenance concerns that ground or air set ups. Finally there is the air-to-water system which sup heat directly from the air to the heat pump, kicking up its temperature through compression, (in much the same way as a fridge) and cycling warmth to a water distribution set up (in under-floor heating), or even air-to-air in a fanned air central heating system. With no ground or costly civic work needed for a geothermal collector, air-to-water systems are the most favoured choice when replacing a traditional central heating boiler with a heat pump. Imagine a metal appliance like a large air conditioner on a wall outside, which feeds into a heat pump the same size generally as a fridge-freezer, inside. Heat pumps do create some outdoor noise but this is generally less than that of a standard boiler (around 50db). However, tales of disappointed expectations are not uncommon in mishandled or DIY retro-fits. Heat pumps are not boilers, and because of the way they work, they should only be installed taking into consideration the comprehensive fitness of the house and its existing distribution network. The real potential for a heat pump. Heat pumps can, in the best instances, serve all the heating and water needed in a house. Still, attaching a heat pump to a house not built to part L standards of the building regulations, and designed formerly around a traditional central heating system does present challenges. The reputable suppliers that I spoke to argued passionately in favour of a realistic and holistic approach to energy efficiency when weighing up whether a heat pump would suit in a retrofit situation. I asked him is choosing a pump always an energy saving adventure? What about the distribution system? UFH is the ideal because of the volume of radiating surface it offers — lots of floor space — and because the systems typically heat the water to 35-45 ºC lower that the 55 to 65C of oil or gas radiators. Without the expansive ideal of UFH, you may be able to use your existing radiators if they are nicely oversized — a common feature of heat- hungry, traditional central heating. Air to water heat pumps produce more heat in warmer conditions and this has to be keyed into the design of your heating. Ask your supplier if your existing water tank will suffice for a heat pump system (they generally require a large tank), and if the configuration of your system will demand what is called a buffer tank to overcome inefficient ‘cycling’. Retrofitting is not a plug n’ play project and the insulation and air tightness of the house may well need to be optimised to receive the pump. If upgrading the insulation of the building and making it sufficiently air tight is costly and problematic, and kilometres of corroded piping must be ripped out, you may (and should) be advised a heat pump is not viable for your home. Be wary of exaggerated, generic examples in potential savings. The initial investment in a heat pump-led system is significant. For new builds the pump is designed into the house from the plans forward, and the cost combined with that of the UFH. In a new build situation, it cost some €3,000 approximately more than oil and solar in an average one-off build. When it comes to retrofits, reputable suppliers will evaluate every house on a highly individual basis. The civil works of drilling a bore (often two) for a vertical collector or laying horizontal trenches for a shallow horizontal collector, will always make geothermal more expensive. For retrofits, air to water pumps are generally promoted by suppliers based on price, performance and ease of installation. However, air to water pumps do not currently offer quite the same high efficiencies as geothermal systems recovering heat from the ground. An air to water system installed will come in the area of €8 to €9k for the pump and tank fitted, commissioned and all ‘made-good’ (suppliers’ figures). Geothermal, including the sensible inclusion of 200m² of UFH will cost at least €14k-€18k for a 2,500 sq ft house (SEAI). Payback for geothermal will obviously take the longest to claw home, and sophisticated vertical collectors can bring recoup to 30 years. With more modestly priced systems the projection is around five to 10 years depending on your spend, but after that it’s all gravy — a valuable investment in the systematics of the property, with little maintenance and a life expectancy for the pump in the order of 15 to 20 years according to the Heat Pump Association of Ireland (HPAI). The magical warmth massaged from the air, earth or water may be free, but the means to transforming those degrees into thermal energy most certainly is not. The compressor requires a consistent trickle of electricity to put pressure on that coolant in the system and to defrost. The hit to your power bill is significant, an ear ringing punch of anywhere from €800 to €1,200 per year (SEAI). Still, for every unit of electricity used to pump the heat, in theory three to four units of heat are produced. Taking the drop in your traditional fossil fuels out of the overall equation, this could put you ahead by 30% in savings and as much as 60% have been reported where heating costs were formerly sky high and the property received essential upgrades. Mr Teahan says: “It is a bonus if we can get several years’ energy bills for the house as we can then compare what the current running cost are to what the heat pump’s projected running costs will be. Imagine enjoying 20,000kWh of heating energy for €800 a year? In larger one-off new builds here, a heat pump may actually be mandated by the planning authority, as solar panels alone may not cover the Part L requirements for a sustainable energy input. (10kWh/m2/y). The heat pump must be sized for the heat requirements of the household and perfectly installed to hit its performance target. Consultant Michael Collins says: “The heat loss from the retrofitted dwelling needs to be calculated initially using DEAP (Dwelling Energy Assessment Procedure) software. You will be carrying out a provisional BER on the dwelling off-plan, which will calculate the Total Heat Loss through the fabric of the building. You may be advised to include back-up water heating (an immersion for example) when using a heat pump as your primary heat source. This could be contributing some 20% to your day to day needs at certain times of the year. Your existing or new solar system can contribute passively and inexpensively to water heating or lend voltaic power to the pump, leaving the pump free to energetically heat the house. Ecologically, your carbon footprint using a well performing heat pump is low, (especially with wind energy and voltaic. However, even saving on carbon and energy, is a heat pump worth the spend? Only a full independent survey and ideally a visit to a refurbished home similar to your own t can answer the question fully. Heat pumps are an electrically powered solution for space heating and domestic hot water. The pump uses a compressor and coolant similar to that used in a refrigerator. Renewable solar gain stored in the earth, air or water bodies, is transformed to suitable energy via a heat exchanger. * For every unit of electricity used for the pump, 3-4 units of thermal energy (kWh) should be returned. In practice, this may be 2-2.5 in cold weather with an air source heat pump. * Vertical geothermal married to UFH is the most expensive capital outlay but is also the most energy-efficient option with very low running costs. * Air to water heat pumps are the least invasive and least-costly retrofit, (not counting additional upgrades to insulation and air tightness) and won’t touch your landscaping. * Heating controls will monitor the indoor temperature, and send heat to the floor and/or radiators as needed to bring it up or down to the temperatures set on your thermostat. * The best performance in statistics featuring heat pumps (COPs) are generally taken from new builds where top-of-the-line vertical geothermal bores, perfectly considered buildings design, extensive UFH and superb insulations are all clicking. Beware of exaggerated claims for the performance of a retrofit system. * There is currently no government grant support for heat pump technology itself. The Better Energy Homes Scheme does have grants for heating controls however, of up to €600. Seai.ie. Running the system on night- rate electricity will save you money. * You must get an energy survey for your house and site. If you have efficient natural gas heating, a heat pump is probably not worth the expense to retrofit. * The efficiently of heat pumps varies. This year for the first time, energy labelling of pumps (similar to other electrical appliances) has been introduced by the EU. Bozzuto Homes in Maryland is offering Bosch SM Geothermal Heat PUmps and Bosch tankless water heaters standard on their Maple Lawn Community in Fulton, MD. provide homeowners with utility savings of up to 70%. development that includes geothermal heating and cooling as a standard feature. 200 to 300 homes at buildout, is now under construction. models available in a variety of residential and commercial voltages. Dealer Design Awards from The NEWS. 1Ph; 208/230V, 60Hz, 3Ph; 460V, 60Hz, 3Ph; 575V, 60Hz, 3Ph; 265V, 60Hz, 1Ph. motor and/or VT060 and VT072 models in order to claim the US tax credit. Units are available to order now, with standard 2-week lead-time. Please contact Customer Service to order, or talk to your Sales Manager for more details. Price books have been updated with these new models. I'll be in Las Vegas next week attending the 2016 International Builders Show. 75,000 specifiers, builders, dealers, and suppliers and 2,000 exhibiting brands. 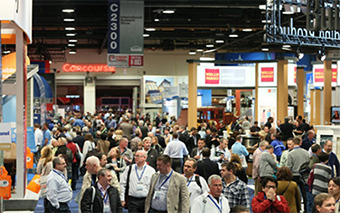 Most of the time, you'll find me at the Enertech Global booth, which is booth #2653. I'll be working the booth from 1pm to 5pm on Wednesday the 20th and 9am to 5pm on Thursday the 21st. Stop by and see me or send me a tweet @tcooper4653 or @theEDGEgeo . and their 22 distribution co-ops in Oklahoma, New Mexico, and Texas. 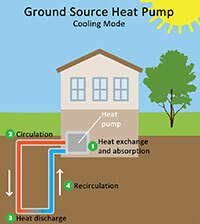 reduce energy demand by promoting ground-source heat pumps in consumer-member programs. Grid-controllable water heaters can help manage demand and shave peak load. I'm doing a guest post from Brett Curry, residential energy marketing manager from Arkansas Electric Cooperative Corporation (AECC). Brett does a great job with a few conversion comparisons for geo conversion in the Arkansas market. I hope you all had a wonderful New Year’s celebration! Speaking of celebrating, let us rejoice the near-normal temperatures as we move into the winter season. And if you haven’t noticed, the dollar amount we have invested to heat our homes so far this winter is down approximately 40 percent versus last year. As a reminder, our two previous winter seasons dealt us below-normal temperatures, above-normal frozen precipitation, drove up our heating costs and lasted well into springtime. Let’s hope the frigid polar vortices remain well to our north this winter season. This year is an important year if you are thinking about installing a geothermal heating and cooling system into a new home or replacing your existing heating, ventilation and air conditioning (HVAC) unit. This ultra energy-efficient ground source heat pump technology qualifies for a renewable energy tax credit that expires on Dec. 31. Taxpayers may claim a 30-percent tax credit for equipment and installation expenditures. Visit this U.S. Department of Energy website for complete details:http://energy.gov/savings/residential-renewable-energy-tax-credit. As a reminder, the equipment and installation cost for geothermal is higher than air-source heat pumps, and natural gas or propane furnaces. But the annual operating cost for geothermal is significantly lower than conventional systems because its operating efficiency is much higher. Most equipment manufacturers have an online savings calculator for cost comparisons. Their calculators include many important database factors such as zip codes for historic weather data, heating and cooling degree days, climate zones, natural gas prices, kilowatt-hour rates, etc. Following is an operating cost and equipment comparison example. Please keep in mind these are estimated figures. If you are leaning toward making the switch, I recommend that you have a qualified HVAC expert run a similar comparison plus the actual heating/cooling load requirements and return-on-investment calculations. My figures do not include any financing costs. Next, subtract the geothermal tax credit, which is $5,700 ($19,000 X .30), from the initial geothermal cost, which leaves a final project cost of $13,300. Now, let’s compare the traditional units with geothermal. Subtract $8,500 (cost for high-efficiency gas and air-to-air heat pump units) from $13,300 and we have a remainder of $4,800. This $4,800 amount is the key component for determining return on investment. Again, these figures are estimates and, hopefully, you can see that once the return-on-investment period is over you’ll begin to recognize years of lower utility bills. Plus, geothermal systems with the domestic hot water feature provide copious amounts of hot water as a byproduct. Please feel free to contact me at smartenergytips@aecc.com with any energy-efficiency related questions. Also, be sure to follow us on Facebook at www.facebook.com/smartenergytips.org as well as listen to our podcasts. Bret Curry is the residential energy marketing manager for Arkansas Electric Cooperative Corporation (AECC). Croft House in Holsworthy, North Devon in SW UK is to be upgraded to a geo system using individual water to water units and a community loop field. The system design is by Kensa and partial funding is coming from an ECO grant. Read more at the article in 24Dash. EDGE Geo carries a full inventory of Bosch & GeoComfort Geothermal Heat Pumps. We also carry a full line of flow centers, pumps, piping, zoning and IAQ products. We stock ecobee3 HomeKit enabled thermostats. Our available products include HPGX GeoXchange systems and the Slim Jim Geo Lake Plate product line. See our Product Menu or Contact Us for more details.